For those of you who watched the Honda Classic final round on Sunday, you were treated to something special. We saw Rory McIlroy win the event and ascend to the No.1 ranking in the world, but at the same time a familiar figure roared loudly during the final round, nearly coming from nine-shots to win the event. This entry was posted in News and tagged golf rankings, honda classic, masters odds, pga tour odds, rory mcilroy, tiger woods, world golf rankings on March 5, 2012 by Bryan. Tiger Woods bounced back with a 68 today at the Honda classic, after shooting a 1-over par round of 71 to open yesterday. And the funny thing is, he said he it the ball the worst he has in months. But the putting was better. 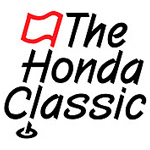 This entry was posted in News and tagged honda classic, honda classic odds, honda classic scores, pga tour betting odds, rory mcilroy, tiger woods, tiger woods honda classic on March 2, 2012 by Bryan. Sitting here watching the Honda Classic, and it’s the same story, different week for Tiger Woods. He continues to be just a little off. This entry was posted in PGA Tour Betting Odds and tagged davis love iii, honda classic, honda classic odds, pga tour betting odds, rory mcilroy, tiger woods on March 1, 2012 by Bryan. The Honda Classic has gone from a rather monotonous tournament in years past, to all of a sudden a marquee stop on the PGA Tour is 2012, with some of the biggest names in the game arriving to take on the Jack Nicklaus course. And of course at the top of the field this week is Tiger Woods, playing in his first-ever Honda Classic. 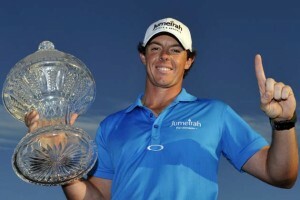 This entry was posted in PGA Tour Betting Odds and tagged 2012 honda classic odds, honda classic betting lines, honda classic odds, honda classic tee times, lee westwood, pga tour odds, rory mcilroy, tiger woods on February 29, 2012 by Bryan.